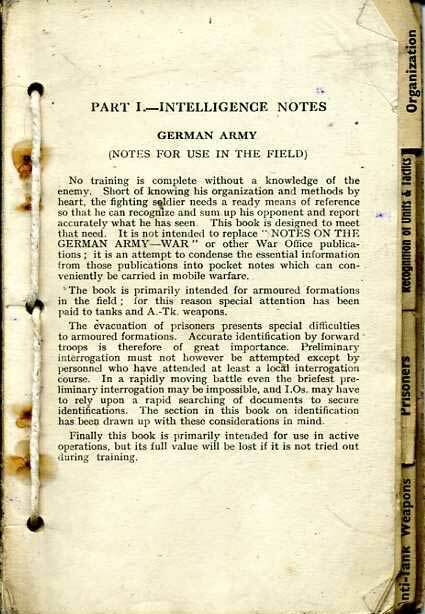 British Army intelligence manual on the German Army, Intelligence Notes, printed October 1942. Part 1 Covers Organisation, Recognition of units and tactics, Prisoners, Anti-Tank weapons, Part 2 is Recognition and Data of AFV's, this includes British tanks. Cover missing otherwise good condition for age, 112 pages.